Writer is an intellectual who can play very important role in shaping and reforming a society. Writer is a person who understands all aspects of life because he knows what is life, so the literature that he contributes to the society can teach us that how to live a decent and successful life. He understands the mentality of people, their sorrow, sadness, happiness, pleasure, excitement, passion, conflicts, emotions, feelings because he has powerful imagination, with his fertile imagination he can visualize a situation which can arise from an action or thought of a person, he can be so convincing in his writing skills that his writings not only can bring revolutionary changes in the minds of people but also in the society as a whole. Different writers who come from the different walks of life have deep insight into the mindset of people of that community from where they come; they can not only talk about the problem prevalent in the society but also have the effective solution for those problems. In that way when he has the talent to solve the problem, he can do reasonably well for our state. Therefore, it is the pen of the writer where lies the beginning of politics. Different types of writers write about politics, religion, philosophy, economics, spirituality, creativity, occult sciences, astrology, tantra- mantra meditation, yoga, films, stories, poetry, epics, drama, novel, science, fiction, sports, entertainment etc. Moon - represents intuition, imagination and visualization. Jupiter - represents exceptionally good writing skills and reserve mental energy. Venus - represents style, sophistication and creativity. In the horoscope, the key planet and specific planetary yogas influence the writing skill. The planets Moon and Mercury give comedy, fiction, poetry, drama. Saturn gives pessimistic and analytical writing. Venus ensures the artistic, romantic, fashion related writing. Jupiter and Mars give the logical and versatile writing skills. Apart from the above planets, the houses involved or connected with the writing skills are lagna, 2, 3, 4, 5, 9, 10. Third house is the house of writing, communication and social activities and by virtue of which makes the communication influential. IInd house is the house of education and the blessing of goddess Saraswati. Fourth house is the house of thinking line and the fifth house indicates the intelligence. Ninth house is the house of higher education and destiny, tenth house is the house of karma when linked with above house indicates the name and fame through education. 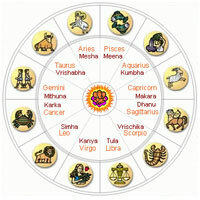 Lagna is the pivot of the horoscope and Sun, Venus (strong) ensures the recognition in the society. When lagna, lagna lord and 3rd house, 3rd lord are related to the Jupiter, Mercury, Moon and 10th house the native becomes a writer. Sun, Mars, Mercury, Venus in the 10th house, the native becomes a writer. Sun, Mercury and Venus combination in 2, 4, 5 makes a person a scholar writer. 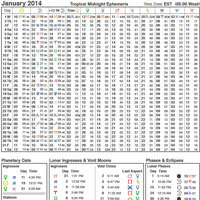 Lord of 4th house, Jupiter, Venus and Mercury in own house, exalted in kendra or kona. Mercury in eleventh house gives keen intellect and higher education. Mercury and Venus in 10th from Moon are good for higher education. Sun, Moon and Mercury give education, name and fame. Jupiter, Mercury, Venus in ninth house. Placement of Jupiter and Mercury in 2nd or 10th. The mutual exchange between the lord of 2nd and 10th is good for education. According to Parashara 5th lord in ninth makes one an illustrious author. 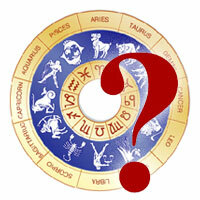 According to Varahmihir Sun in Virgo, gives skill in writing, painting, poetry, philosophy. 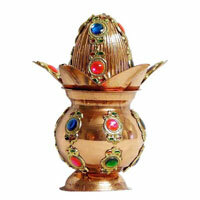 The lord of 10th house in navamsha of Mercury. Saraswati Yoga : The benefic Jupiter, Venus and mercury occupy kendras or trikonas either jointly or singly. Jupiter should be strong in its own, exaltation or friendly sign. Gandharva Yoga : 10th lord is in a 3, 7 and 11. Lagna lord and Jupiter together, exalted Sun and placement of Moon in the 9th house. Kalanidhi Yoga : Jupiter in 2nd or 5th in the rasi of Mercury or Venus. Sunapha / Anapha/ Durudhara : Yoga formed by Mercury or Venus give proficiency in fine arts. 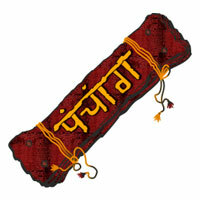 Panch Mahapurusha : Yogas Malavya and Bhadra provide skill in fine arts. Shakespeare was born on 22.4.1564 at Startford near London. He wrote 30 plays which included some of the world’s most famous tragedies and comedies. His famous plays are Julius Ceasar, Hamlet etc. He has been admired in every age and in every country for the beauty and excellence of his literary creation. He was born in Leo ascendant sign whose lord is exalted in 9th house which gives the recognition and intelligence in the field of career. Moon sign is Virgo which gives deep and analytical mind. 3rd lord Venus in the 10th house forming Malvya yoga indicates the skill in writing. Jupiter (5th lord) exalted in the 12th house creating a Raj yoga and with Saturn gives the deep and research oriented skill. Moon in the second house (pakshabali) aspected by Saturn and Mercury (Rasi lord) gives high intellect, intuition and writing skills. Venus and mercury forming yoga with Sun thus ensuring the yogas for becoming a good writer. Major planets in the brighter half of the horoscope and Raj yogas confers him the world wide name, fame. Amrita Pritam was born on 31.8.1919 at 13.49 hrs. She was versatile writer and has written more than 775 books. She was born in Scorpio ascendant sign and Moon sign Libra makes the native intelligent, artistic and dynamic with Rahu in lagna providing deep thinking and versatile skills. 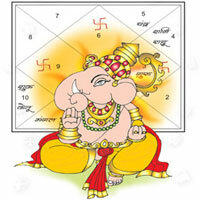 Sun in the 10th house (digbali) gives natural talent and ensures the name, fame, recognition. Saturn being the (3rd and 4th lord) gives mysterious knowledge and the success in writing. 2nd and 5th lord exalted Jupiter in 9th house forms the yoga for higher education. Jupiter with lagna lord Mars and Mercury (karaka of writing) makes the native bold and concise. In addition, Venus in 11th house aspecting 5th house is the karaka of poetry and artistic skills. Moon in the 12th house also gives imaginative and intuitive mind which is must in writing. Hence all the factors are present to become a writer and to get name, fame in the society. The famous writer of sherlock holmes was born in the Gemini ascendant, the sign of intellect and learning and Moon sign Capricorn which makes the person determined, planner, optimistic and thoughtful. Mercury being the lagna lord in eleventh with Venus gives natural talent for creativity 2nd house lord (Moon) and 8th lord (Saturn) exchange gives sudden, mysterious, intuitive and imaginative writing as Moon being the 10th from the Sun makes the native writer, poet and gives artistic talent. Jupiter in lagna gives the exceptionally good writing skills. Jupiter in the sign of mercury makes the native versatile and fond of reading and writing. The Raj yogas present in the horoscope makes the native, most loved detective writer of all times and his books are passed on from generation to generation. Parivartana yoga (2nd & 8th lord) and (11th and 12th lord) gives the immense name, fame and wealth Venus & Mercury in 11th house and Jupiter in lagna gives the blessings of God to achieve success in life. He was born in Solapur on 7.5.1861 at 4 A.M. He devoted his whole time in writing poetry, short stories and novels. The collection of his poems known as Geetanjali which was translated into English won Nobel Prize in 1913. He was the composer of national Anthem of India and Bangladesh. He was born in Pisces ascendant and Moon sign which is the sign of creativity, knowledge, imagination. Moon and Jupiter (lagnesh) exalted in 5th causing Parivartan yoga, are the key planets which give extra ordinary intelligence and make the horoscope double powerful. 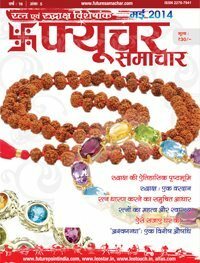 Second Parivartan yoga between 2nd and 4th lord Mars and Mercury ensure the high education and Success. Mars brings logic and boldness in writing. Exalted Sun with 3rd lord Venus and Mercury (4th lord) gives the excellence in literary work. These combinations give him extraordinary talent in the field of writing and Rahu in 10th makes the native famous and also brings sudden recognition in educational field. Munshi Premchand was born on 31.7.1880 at 6 A.M. in Varanasi. He wrote nearly 300 stories and depicted the pathetic condition of the people. His best novels are Sevasadan, Godan, story collection of Manasarovara. He was considered as the father of Hindi fiction. 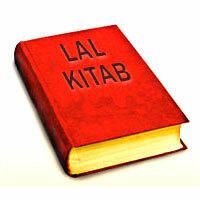 In his horoscope Sun, Venus, Mercury in the lagna makes the person a scholar and writer. In addition, he was born in the ascendant sign Cancer and the lagna lord Moon exalted in 11th house gives him highly imaginative skills and verbal skills. The Cancer sign, makes the native very emotional and sentimental and Saturn (8th lord) debilitated in 10th house gave him pessimistic thinking line that is why he could reveal the true picture of poor people. Raj yogas in the horoscope - parivartan yoga between lagna lord and 11th lord, the placement of 2nd lord in the lagna with benefic planets Mercury (planet of intellect and 3rd lord of writing) and Venus, second house lord Sun is also aspected by jupiter. The The placement of Yoga Karaka planet Mars in the 2nd house and that of destiny lord in its own sign favoured him for becoming a very successful author for masses.